Okay, I need to step awaaaay from the kitties. The new arrangement of furry bodies…actually this is the third configuration since the first pics. your kitties are so happy! 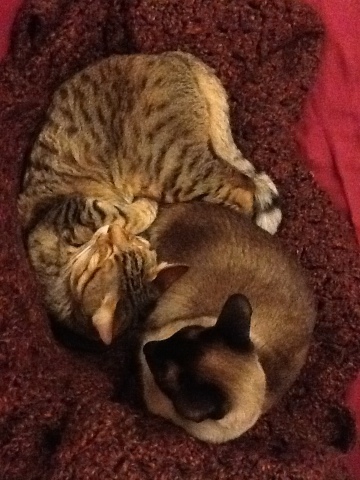 I love studying kitty configurations. Haha, Awe, watch him sleep!